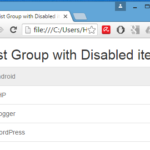 How to display lines inside drop down menu between its items to separate them. 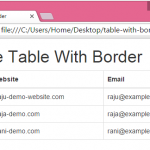 Bootstrap’s .divider class is used to show divider line inside drop down menus. 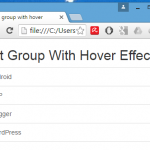 This class will automatically set and draw horizontal line which will separate the values inside drop down menu. 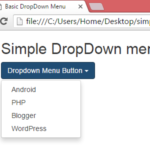 So here is the complete step by step tutorial for Show Divider line between Drop Down Menu items using Bootstrap classes in HTML,PHP. 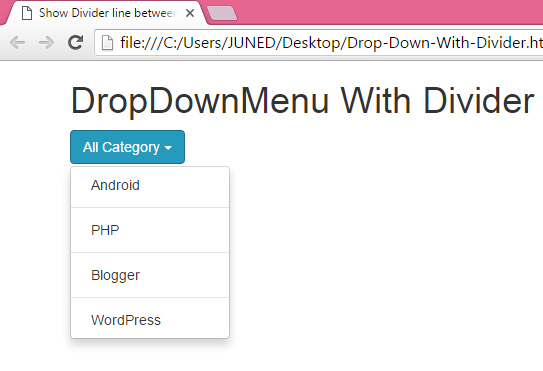 How to Show Divider line between Drop Down Menu items using Bootstrap classes in HTML,PHP.